Overfelt principals and students present what a day as a Royal at Overfelt High School might be like. With about 2,000 students, Overfelt High School offers a wide range of academics, clubs and varsity and junior varsity sports. This is a public four-year high school has students can choose from regular academic classes and advanced placement classes. The school has a variety of activities, athletic teams and has the Engineering MAGNET program and the Green Construction/Architecture MAGNET program. Silver Creek High School’s Shadow Program invites prospective students to experience a day as a Raider. During a shadow visit, eighth grade students are paired with a Leadership student. Visitors will have a chance to familiarize themselves with the Silver Creek community by spending a full school day on campus. Guests will be able to participate in classroom activities, eat lunch with the student body, and meet faculty and staff. Students are invited to come and enjoy a day at SCHS.To learn more about the shadow program or to schedule a visit email scshadowing@gmail.com. The EVHS shadowing program is usually offered sometime in March. On shadowing day, 8th grade students should arrive on campus at 8 a.m. They must check into the Reception Desk of the front office (off Quimby at the front of the school) and then are escorted to Cougar Hall where their assigned Leadership students will meet them and take them to their classes for the day. Participating middle school students must submit the Release of Liability form, arrange their own transportation to and from this event and complete the EVHS Shadowing Program Sign Up form online. Lunch is provided for the students, however they are welcome to bring snacks and water or money to buy some food at break. School ends at 1:30 p.m., so students will need to make arrangements to return to their home school and get picked up from Evergreen. Our shadowing program is popular so please make sure to complete all necessary forms and submit them or your spot will be released to other students. If you any specific questions, contact namrata.challa@gmail.com or Activities Director, Virginia Yenter at yenterv@esuhsd.org. 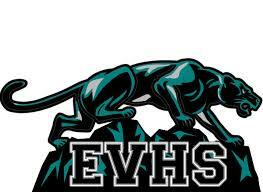 Evergreen Valley High School looks forward to greeting your wonderful students in March. Dates will be posted on the front page of LeyVa's school website once they are announced. Principal Sherman will mail out transcripts and state test scores after the second semester grades are posted.